Position could include responsibilities that would require travel throughout the District. Positions in this job family are assigned caseload with responsibility for providing child welfare services to children and families in communities, facilities, institutions or hospitals. Duties include prevention and treatment functions, child abuse and neglect investigations, adoption, foster care, referrals, court liaison, volunteer program activities and permanency planning. Attends training required by law or outlined in the Pinnacle. Must successfully complete initial Child Welfare Specialist Academy. This position may be filled at the alternate level of the JFD depending upon the qualifications of the recommended applicant. Alternate hiring options must be utilized for potential promotional appointments which result in salary inequities within the JFD. Positions in this job family are assigned responsibility for providing child welfare services to children and families in communities, facilities, institutions or hospitals. Duties include continuous assessment of child safety in regard to family-centered and community services, child abuse/neglect investigations, adoption, foster care, intake, court liaison, group home and shelter services, volunteer program activities and permanency planning. This is the basic level where employees perform entry level work in a training status in providing child welfare services to children and families. Employees at this level will complete the Child Welfare Core Academy training program. Completed work is reviewed and all decisions are discussed with supervisor or other senior staff. At this level, employees learn adoptive services such as recruiting, screening, evaluating and documenting activities; provide reports to the adoption unit and the courts; learn treatment and preventive services; visit children in placement; refer families and children to services in the community; complete assessments of children and families; implement individualized service plans. Additional duties include participating in investigations of abuse and neglect of children; preparing case reports and other documentation and recommending a course of action with close supervision and case consultation; participation in conferences/meetings, and providing protective services and coordinating referrals to other units, agencies, service providers and the courts. Prepares legal documentation for presentation to the court with supervisory guidance and approval; attends court hearings and provides testimony; consults with the District Attorney, other attorneys, and tribal partners regarding efforts to protect the child, reunite the family or other permanent plan for the child; provides direct services to children in placement; attends staff meetings; makes decisions regarding individualized service plans following supervisory consultation; and provides assessments and services to children in custody to assist them in making the transition from foster care to independent living. 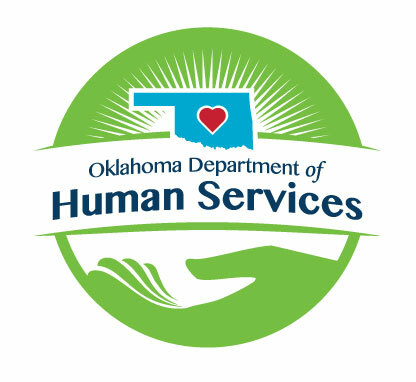 At this level employees are assigned responsibilities at the full performance level in providing child welfare services to children and families. Employees receive intakes and assess or investigate allegations of abuse or neglect completing appropriate documentation, and assess child safety and recommend the appropriate level of intervention. Employees initiate procedures to remove the child from the home if in present danger; coordinate actions with law enforcement entities and district attorney; and initiate placement process. Provides social work services to families applying or approved for adoption or foster care; recruits and trains foster and adoptive parents; conducts home visits; reviews child’s psycho-social, medical, developmental and education histories; completes evaluations and approves or disapproves applicants; facilitates or participates in meetings, such as Family Team Meetings. Identifies emotional needs of residents assigned to a shelter or group home and prepares a treatment plan including short and long range goals; and prepares reports and narratives. In addition, employees at this level will prepare and coordinate legal documents for presentation to the court; attend court hearings and provide testimony; inform court of agency policies and procedures, and may serve as an expert witness. Visits children in placement to assess safety and needs; provides information or other appropriate services; maintains sibling and other relationships.